The Common Thread Brew is a yearly special event for the Wisconsin Brewers Guild. 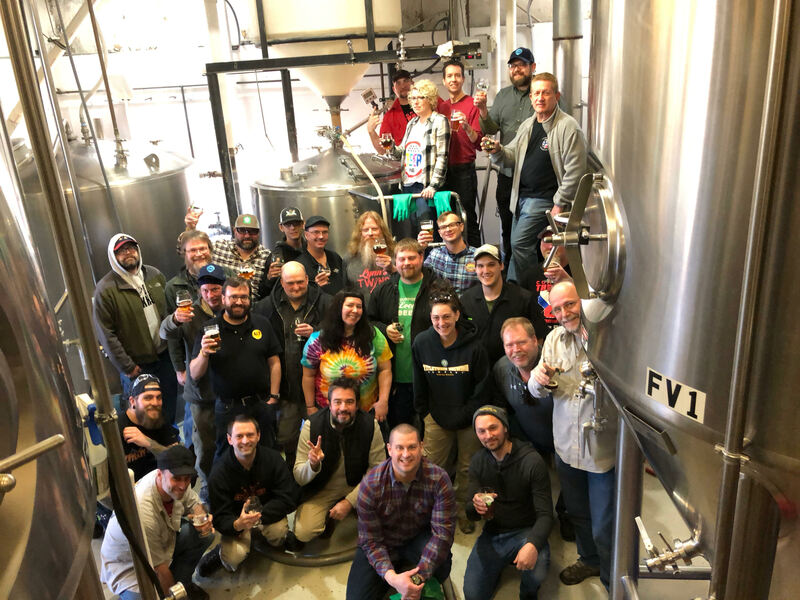 Each year a brewery plays host to the state’s brewers on a single brew day to come together and execute a beer dreamed up by the brewers. The proceeds from the beer, released for Craft Beer Week, are donated to the Wisconsin Brewers Guild. This year Karben4 was asked to be the host and we are honored and excited to carry the torch for the 2018 Common Thread. This year’s beer, an American Pale Lager will be ready to pour right at open. We’ve used Cryo Hops lupulin powder hop product made by YCH Hops (Yakima Chief – Hopunion), and Ekuanot hops donated by Ekuanot Cryo Hoops AND Mosaic. Briess Malt & Ingredients has donated their Synergy Select Pilsn malt as well. Join us in the taproom for an all day release party K4 style and let’s celebrate Wisconsin Breweries!